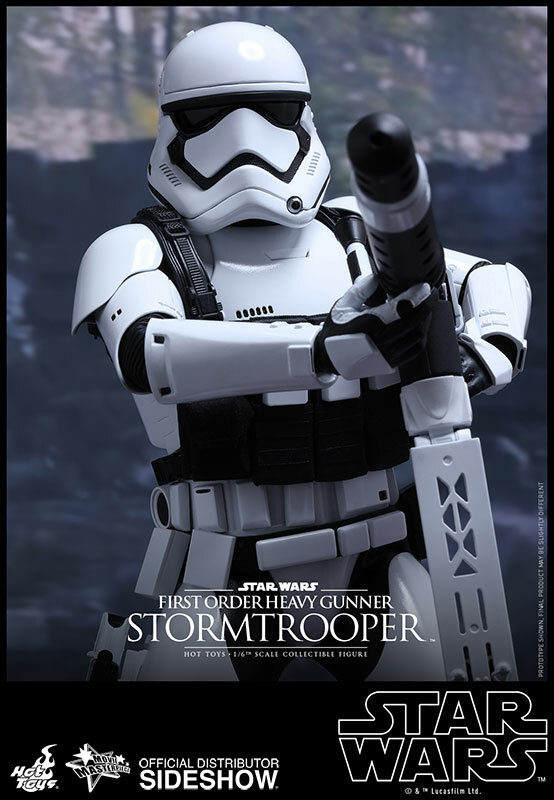 Star Wars collectible fans worldwide are anxiously waiting for the release of Star Wars: The Force Awakens, the latest installment of the epic space saga! 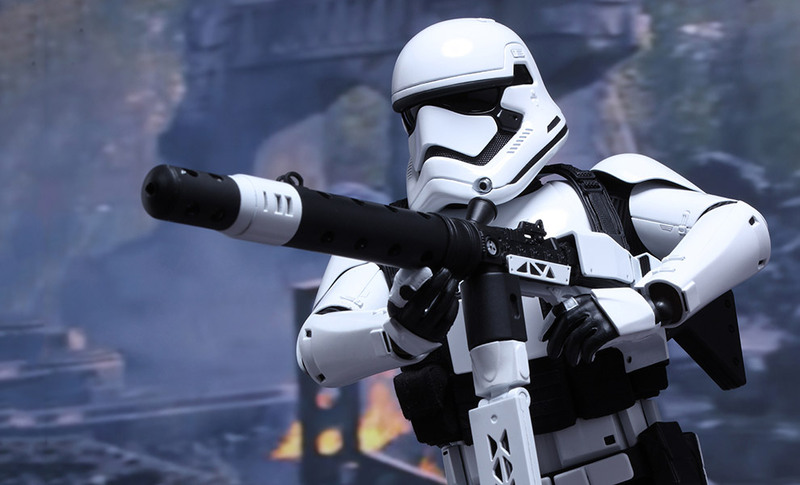 Set 30 years after the events of Star Wars: Episode VI Return of the Jedi, the upcoming movie will feature brand new characters as well as some familiar faces! 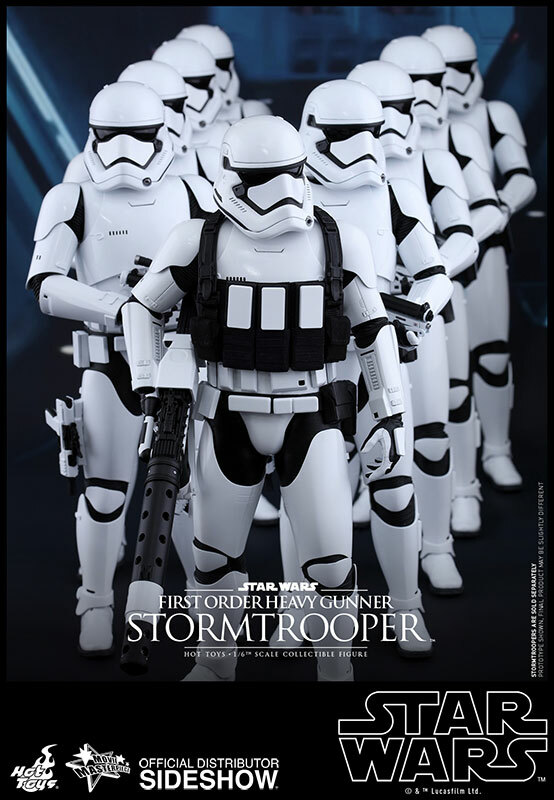 In this upcoming movie, a new group called the First Order has come to power and utilizes Stormtroopers to execute its orders. 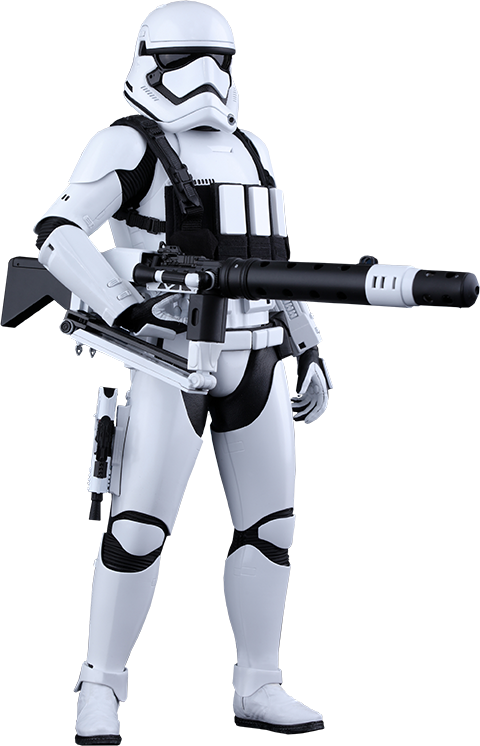 These new faceless enforcers are now armed with new armor, weapons and equipment to accomplish their goal. 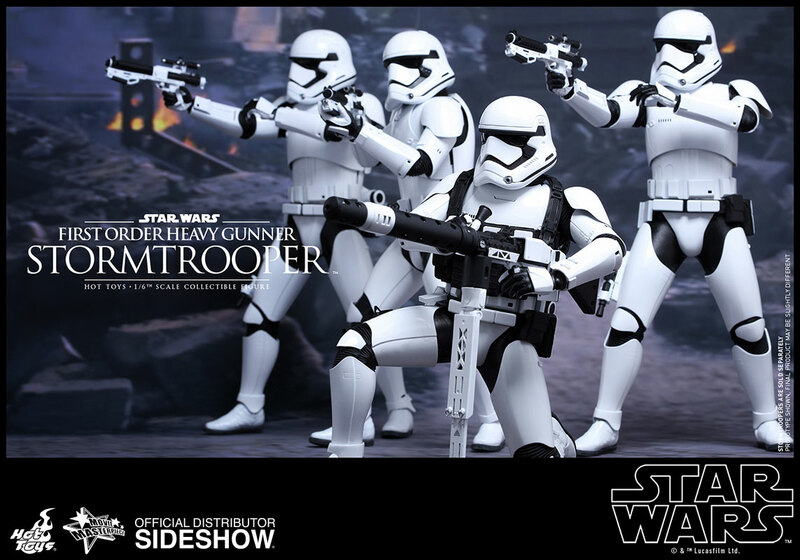 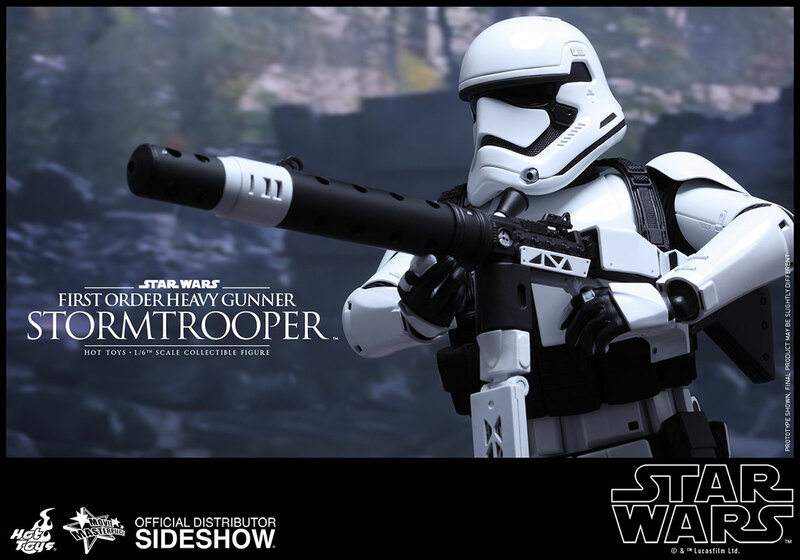 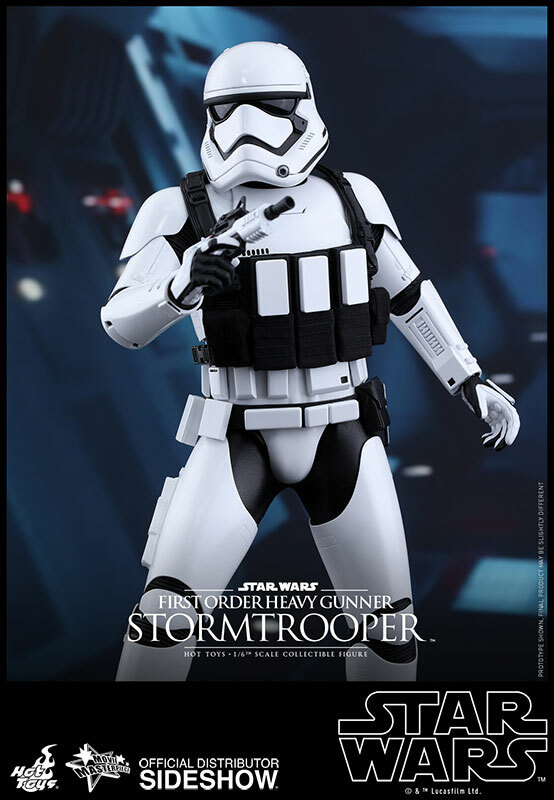 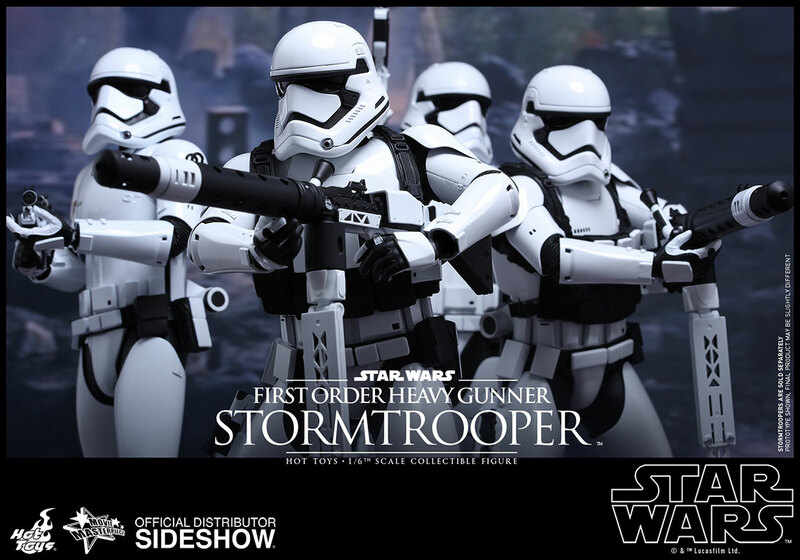 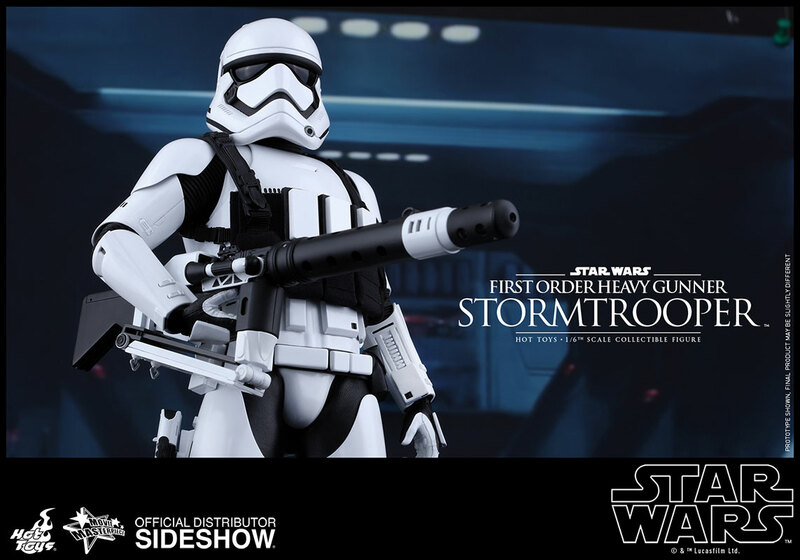 Sideshow Collectibles and Hot Toys are delighted to present the sixth scale collectible figure of the new sleekly designed First Order Heavy Gunner Stormtrooper, equipped with a heavy artillery vest and a destructive megablaster, from Star Wars: The Force Awakens! 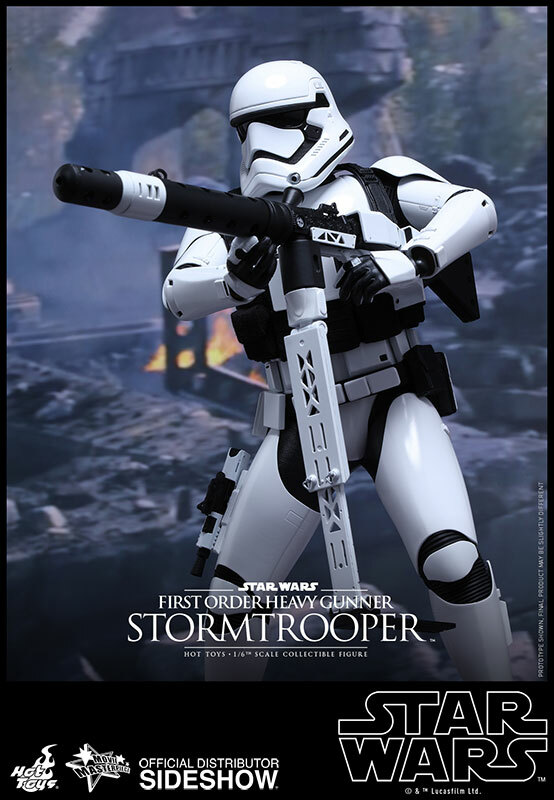 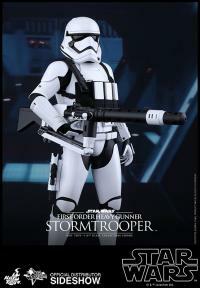 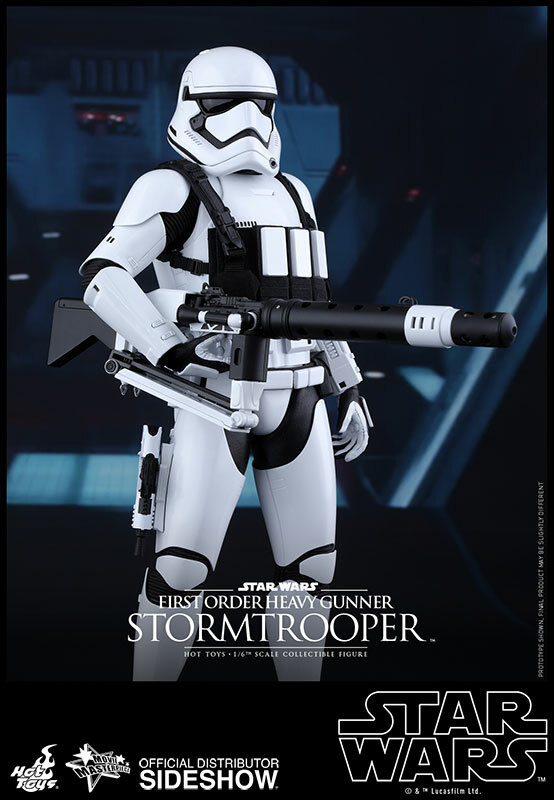 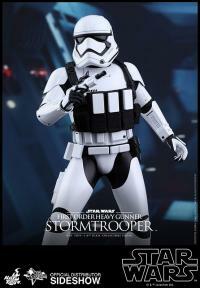 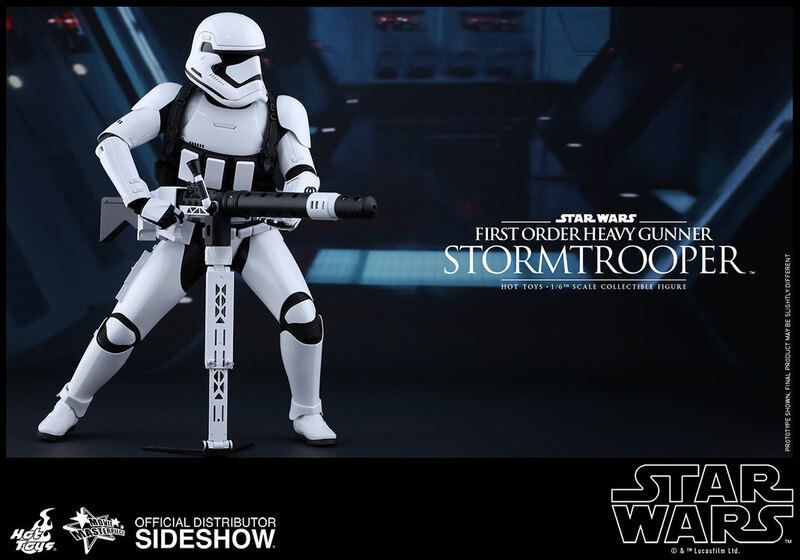 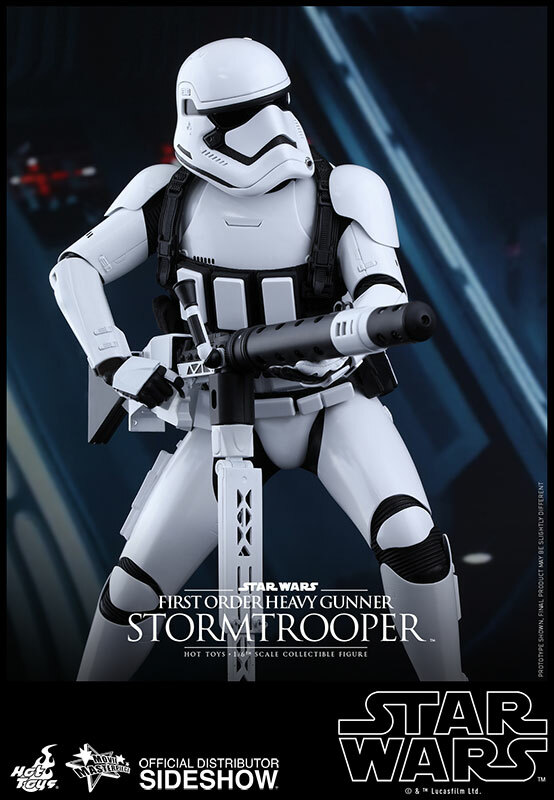 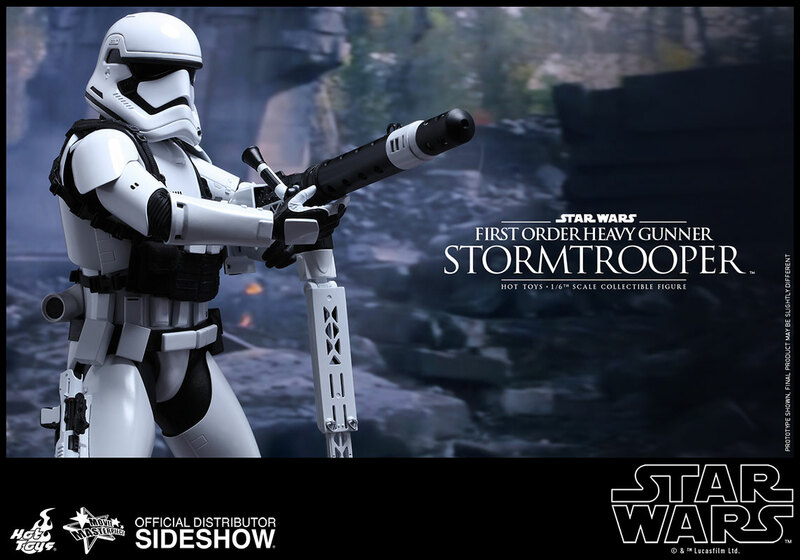 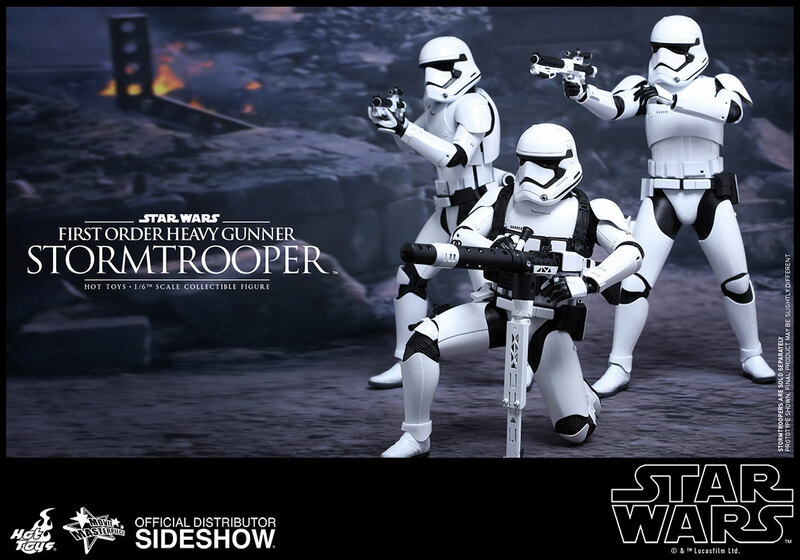 The highly-accurate collectible figure is specially crafted based on the image of the First Order Stormtrooper in Star Wars: The Force Awakens and features the newly designed Stormtrooper armor and helmet, a highly detailed and articulated megablaster, a blaster pistol, and a specially designed hexagonal figure stand with the First Order’s emblem! 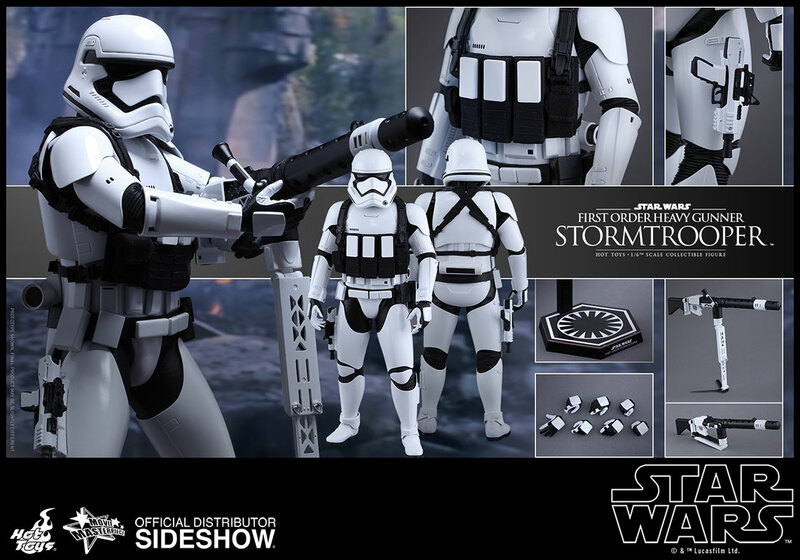 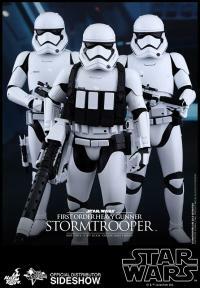 It is time to create your own trooper army with the new First Order Stormtroopers! 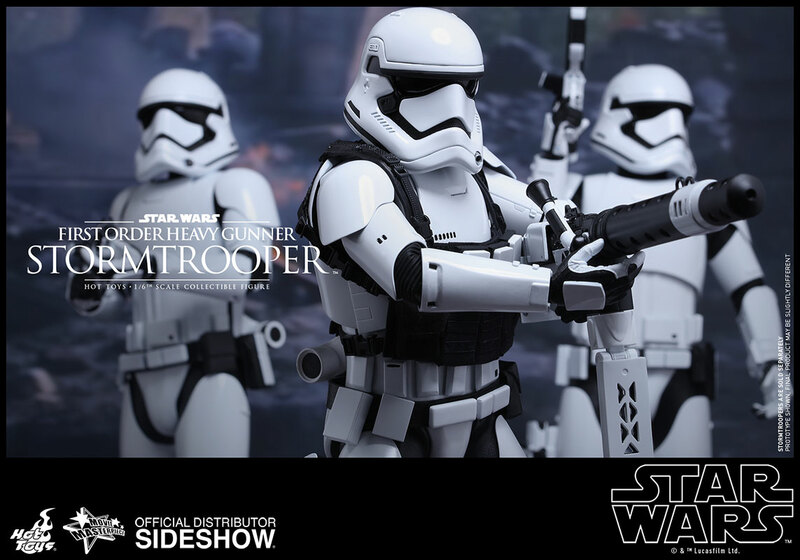 (c) & (TM) Lucasfilm Ltd.(c) 2015 Hot Toys Limited. All Rights Reserved.